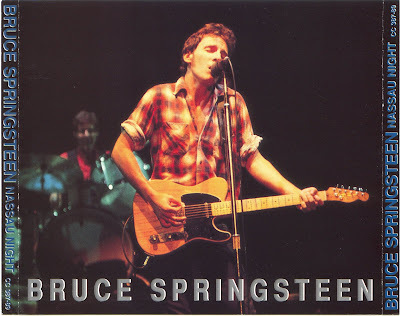 This is one of my favourite Springsteen bootlegs. 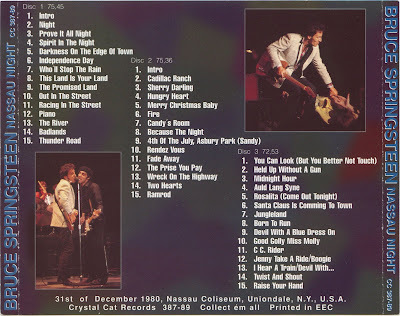 "Nassau Night" -- a New Year's Eve show, as 1980 clicked over into 1981. It's one of the longest shows he has ever done -- 40+ songs and nearly four hours -- and it's a soundboard! Enjoy! At one point this winter, the Red Sox made a play to re-acquire Marlins superstar Hanley Ramirez, league sources tell SI.com. But while the Marlins listened to Boston's overtures, talks were quickly scuttled and it appears there's very little chance they will be revived as Florida isn't anxious to trade its best player. It was originally believed that these recent discussions came after Boston lost out in the running for Mark Teixeira ... [but] they were held a few weeks prior to that. ... Since Boston is said to be happy with Jed Lowrie at shortstop, it's possible the Red Sox might have considered using Ramirez in centerfield. Brad Penny confirms he has reached a preliminary agreement (pending a physical on January 7) with the Red Sox. The one-year deal has a base salary of $5 million, with the potential to go to $8 with incentives. There were a lot of teams involved. But I wanted to go somewhere where I knew we had a great chance at winning and Boston is that place. In 178 AB last season, Bard hit only .202/.279/.270, but had a variety of injuries and very low BABIP (.235). He hit .308/.376/.454/.830 against lefties last year and had an overall line drive rate of 21%. According to the 2009 Hardball Times Annual, no major league regular had a lower line drive % in 2008 than Varitek. The Red Sox are nearing agreement with two free-agents: pitcher Brad Penny and catcher Josh Bard. Fox's Ken Rosenthal says the 29-year-old Penny "would be in the Red Sox's starting rotation", but that is a huge stretch at this point. Penny had a 6.27 ERA in 17 starts and two relief appearances last year before going down with a sore right shoulder. This is a solid, low-risk signing -- I would have liked Smoltz, though is unlikely now -- but Penny's the 6th or 7th starter right now. Over at SoSH, there are notes that back in August, the Dodgers "questioned the severity" of Penny's shoulder problems, blaming his dismal performance on "a poor work ethic". An MRI later revealed increased scar tissue in Penny's shoulder, which appeared to be impinging on the rotator-cuff tendon. Back in the early 1990s, Rob Neyer worked as Bill James's research assistant and contributed what were called "tracers" to at least three of James's Baseball Abstracts. Neyer would quote a player's or writer's recollection from a book or an old issue of The Sporting News or Baseball Digest -- and then try to figure out if the story was true. 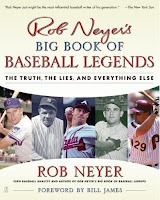 I loved reading those, so I'm in heaven because Neyer's Big Book Of Baseball Legends is comprised solely of "tracers". Leading 8-0 in a regular-season game against the Astros, Maddux threw what he had said he would never throw to Jeff Bagwell -- a fastball in. Bagwell did what Maddux wanted him to do: he homered. So two weeks later, when Maddux was facing Bagwell in a close game, Bagwell was looking for a fastball in, and Maddux fanned him on a change-up away. Is this story true? Did this really happen? For those of you thinking "Who cares?" or "Why ruin a good story? ", stay away from this book. But if you're as curious as I am about how Neyer went about his investigations and what he found out, you'll be very happy curling up with this book while you wait for spring training. The explosion of knowledge about the past, roaring up from behind us, exposes every exaggeration, every fictionalization, every enhancement, every substitution. It's a little sad. ... For thousands of years men made slightly heroic fiction out of their own petty lives. You can't get away with that anymore. Back in 1982, my friend Ray and I took a bus down from Burlington to Fenway Park. We snuck a sack-full of beers into the park and sat out in the hot sun in right field. Steve Balboni bopped two home runs over the Wall and we lost to the Royals -- something like 5-3. Not a terribly gripping yarn, but still ... how's my memory? This game was not right after graduating high school (1981) and I was still living at home (which I was not doing in 1983). Also discounting 1983 is the fact that we drove down by car and saw two games in July of that year (spending the night in a parking garage). I drifted away from baseball after that year, returned to the Sox in August 1986, and moved to Brooklyn in 1987. Also, we went to a bar when we got back, so we're looking for a Saturday in 1982. Balboni's home run log tells us he had 12 two-dong days in his career, but wait ... we're already in trouble. Balboni debuted with the Yankees in 1982 and did not play for Kansas City until 1984. Not only that, but he hit no home runs against Boston that year and only one in 1985 (April 16 in Kansas City). So whatever we saw, Balboni was not a part of it. Did the Red Sox lose to the Royals at home 5-3 (or thereabouts) on a summer weekend afternoon in 1982? No, though they did lose to Kansas City 9-0 on Sunday, July 18. They had beat the Royals the day before, 8-4, and Frank White hit two home runs for KC, but I'm very sure we saw a loss. Maybe it wasn't the Royals. When did the 1982 Red Sox lose on weekend day games? That second Brewers game is a possibility, though it's a Sunday and the linescore seems off. A-ha! September 25: 2-6 to Yankees. Mr. Effing Balboni hit a home run in the 5th inning off Dennis Eckersley. Rick Cerone added a dong two innings later for New York's final run. The listed temperature is only 68 degrees, but this game is a Saturday afternoon loss by a score very similar to 3-5, it has Balboni hitting a homer and another homer being hit to ice the win for the visitors. I can't be sure, but because Balboni is so prominent in my memory of that day, I'm going to say that was the game. Over The Montser notes that the Red Sox are scouting Jarrod Saltalamacchia in the Dominican winter league. OtM wonders if the Sox could get by with a tandem of George Kottaras and Dusty Brown behind the plate in 2009? ... Evan at Firebrand is also thinking about Boston's catchers. A Kottaras/Brown combo would have to hit as well, if not better, than the Cap'n's putrid .220/.313/.359 line, right? 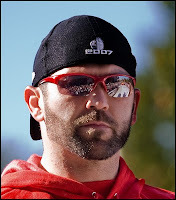 (I am ignoring Jason Varitek's intangibles™.) If the asking price (pitching prospects) for Salty or Taylor Teagarden is too high, maybe the homegrown duo is the way to go. If Mike Lowell can get his bat back, we could work around one potential black hole in the lineup. The Globe's Adam Kilgore writes that Kevin Youkilis and the Red Sox will not reach a long-term contract agreement this offseason. Joe Bick, Yook's agent: "We've had some initial conversations [toward a long-term contract, but] it doesn't look promising." Youkilis (who will play in the WBC) will either go to arbitration or work out a one-year deal. Derek Lowe may be close to signing a four-year deal (at $14-16 per) with the Mets. One idea the Yankees are kicking around to raise some more money: "charging media members for wireless Internet access at every home game"! That's roughly $850 million in free agent signings (actually, Swisher's contract was acquired in a trade). With various extras and options (e.g., two club options on Cano would add another 29), this list could top $900 million. And that doesn't include the bloated salaries they'll be paying to CI (20), Damon (13), and Shemp (13) in 2009. New York has agreed to nearly one billion dollars in new contracts in a little over one year. So can all the idiots who've been referring to the Red Sox as "the new Yankees" stfu? The Yankees are "the new Yankees". Or the old Yankees. This is nothing more than a return to the Steinbrennerian tradition of throwing piles of money at the wall and hoping some of it sticks. The one difference is they are throwing money at players in their late 20s and not their mid-30s. Actually, that's not completely true. If he stays in New York, CC will pocket $23 million for each of his age 32-33-34 seasons. Ouch. The Yankees lost two of their three biggest bats (Giambi, Abreu) and their best starter (Mussina). Teixeira fills some of that void, but if Cano, Posada, and Shemp can't rebound from 2008, their offense will not have improved that much. Wang will be back and CC may match what the Bigot did last year, but AJ's health remains a big question mark. The media may crow about the potential for these guys to win 120 games (the same people who promised Randy Johnson would notch 30 wins for the 2005 Chokers), but they have merely narrowed the distance between themselves and the Red Sox/Rays. I'm looking forward to Mr. Hankee blowing his stack on a daily basis when this team, who despite the cash outlay noted above finished in third place last year and for whom anything less than a World Series championship in 2009 will be a colossal failure, is 6 GB in June. The Yankees have reached an agreement in principle to sign Mark Teixeira, SI.com has learned, beating out the rival Red Sox for the free-agent slugger's services. Teixeira, who hit .308 with 33 home runs and 121 RBIs in 2008, will receive an eight-year, $180 million deal from the Yankees with a full no-trade provision. Teixeira had favored the Yankees all along and according to sources he conveyed that to them this week. A major league baseball source has told The Washington Times' Thom Loverro that there will be an announcement today regarding the future of free agent first baseman Mark Teixeira. It is still unclear how much the Red Sox offered Teixeira, but there were reports last night that the Nationals had boosted their bid in a last-ditch effort to sign him. MASN's Roch Kubatko reported last night that Nationals might have upgraded their offer to the first baseman to an eight-year deal worth between $178 and $184 million. This report has been picked up by the Globe, ProJo and WEEI. ESPN's Peter Gammons and Buster Olney, stated earlier today that a Teixeira decision is "seemingly imminent". Casey At The Bat -- in baseball card format -- as the final post by Ben Henry at The Baseball Card Blog. This is an amazing showcase of creativity and wit! And it's exactly what you need as the snow continues to fall. Angels: The team's vice president of communications confirmed a foxsports.com report that LAA has withdrawn its offer. Yankees: Made an offer, but have withdrawn it. Nationals: Do not expect to win the Teixeira sweepstakes. Red Sox: Have not spoken with Boras since Thursday night. Orioles: Still out there; may have made a 7/140-150 offer. Henry on Teixeira: Sox "Not Going To Be A Factor"
"We met with Mr. Teixeira and were very much impressed with him. After hearing about his other offers, however, it seems clear that we are not going to be a factor. Is Henry bluffing? Has Teixeira eliminated Boston from his possible places of employment? Or is this a straight statement of the Red Sox removing themselves from the bidding and moving on? The Red Sox's offer was approximately 8/184. Joe Bick, Kevin Youkilis's agent, says he and the Red Sox have had "early-stage conversations" about a long-term contract extension for the Boston infielder. Kevin is perfectly content to do it one year at a time. There's no urgency whatsoever. If we are presented with a multiyear deal, he's fine with it either way. We're all pretty confident that Kevin is going to remain an outstanding player. He is not the kind of guy that is going to be antsy if he has to do a one-year contract. Youkilis, who earned $3 million last season while hitting .312 and leading the team in slugging percentage and RBI, is currently eligible for free agency after the 2010 season. We have no idea what the Red Sox would be offering or what Yook might like, but inking him to a 4/40-48 deal (covering his age 30-34 seasons) might make sense now. Anything more and I'd be inclined to wait -- see if his 2008 production is the real deal going forward -- and deal with this in the winter of 2010-11. Good news: Josh Beckett will not pitch for the United States during the World Baseball Classic in March so he fully heal from the oblique injury he suffered toward the end of last season. Terry Francona said he was "not terribly worried about the position players" but "you certainly worry about the pitchers, because they are not ready to compete yet, and it makes all of us nervous". Dustin Pedroia says he will play for the US and Daisuke Matsuzaka -- the MVP of the 2006 tournament -- will pitch for Japan. Francona expects between seven and nine Red Sox players to play. David Ortiz played for the Dominican Republic in 2006, and as long as he has no health concerns, the big designated hitter expects to do so again. Left fielder Jason Bay is all but certain to get an invitation from Canada. First baseman Kevin Youkilis, closer Jonathan Papelbon and left-hander Jon Lester are other Boston players who might have received overtures from Team USA. Had Mike Lowell been healthy, he would have suited up for Puerto Rico. There is every indication that the Red Sox view Teixiera in the same "must-have" light as they did Matsuzaka. MLB's Ian Browne notes the sticky situation that would arise with only two infield positions for Teixeira, Mike Lowell and Kevin Youkilis. Is It Truck Day Yet? Since 2004, I have seen my interest in the off-season slowly dwindle. Before that, when there was no way of knowing if the title drought would last 85 years or 185 years, I'd follow the rumours, trades and roster moves as closely as I could. And during the season, I obsessed over every single game, especially when there were stupid managerial decisions. And in the pre-Tito era, there was plenty of those. Hell, I was often furious after wins. Winning a World Series championship changed many things about the nature of my fandom -- all of them impossible to predict, or to prevent -- and this is one of them. It's not that I don't care. It's similar to how I now feel after games: winning is fun, but if the Sox lose, well, it happens and there's another game tomorrow. I seem unable to muster the energy or focus to dissect managerial decisions in the type of detail I did in 2003 and 2004. And during the winter, I feel some obligation to put up a post every few days, at the very least. (I have given up saying stuff like "Don't expect more than one post a week", because I never stick to those statements.) Without the blog, though, I'd be happy if I were transported directly to Opening Day. Hand me the roster, tell me who is percolating in Pawtucket, and let's get to it! And Truck Day is two months away. Hideki Okajima finished the Honolulu Marathon today -- his first marathon -- in 6:10:26. On Friday, Amalie Benjamin reported that a team official "said the Sox were not pleased and would have discouraged him had the team been apprised of his decision." Thanks to everyone who cast a vote! Update: Laura won Best Progressive Blog! Kawakami has a 112-72 career record with a 3.22 ERA in 11 years as a member of Chunichi Dragons. He won the Rookie of the Year in 1998 and the Central League MVP in 2004. ... His best pitch is a cut-fastball. The Globe's Adam Kilgore says Kawakawi "projects as a middle- or back-of-the-rotation starter" and the Herald's Michael Silverman thinks he might battle Justin Masterson and Clay Buchholz for the 5th rotation spot. ... SoSH thread on Kawakami here. The Yankees have allocated approximately $243,500,000 -- nearly one-quarter of a billion dollars -- on two pitchers in the last three days. ... Well, it's only money. Canadian Blog Awards: Results should be forthcoming in the next week or so. (I know you are all very curious!) I do know that 741 total votes were cast in the sports blog category. Red Sox Show Off "Retro Roadies"
The Red Sox will have a new look to them going forward, particularly on the road. At a news conference on Thursday night in Boston, the tradition-laden franchise unveiled new primary and alternate road jerseys for 2009. 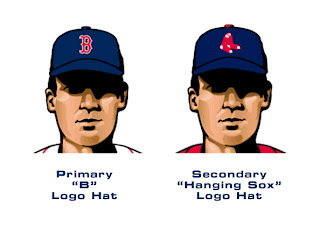 The club will also go with the "Hanging Sox" as the new primary logo, and it will be displayed on new caps that the Red Sox will wear with their alternate jerseys at home and on the road. 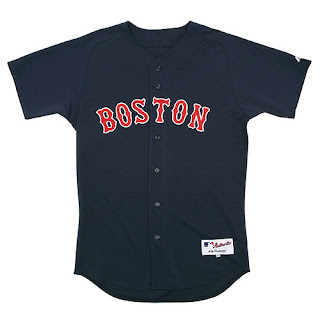 The alternate road uniform will be a combination of white pants and blue jersey with "BOSTON" in red lettering across the chest. No changes have been made to Boston's primary home uniforms. The alternate home red jerseys will still be used, and will now be accompanied by alternate hats which feature the new "Hanging Sox" logo. The alternate caps will also be worn on the road with the alternate blue tops. All of these minor changes seem fine -- I like the 1980s road grays a lot -- except for the alternative caps. 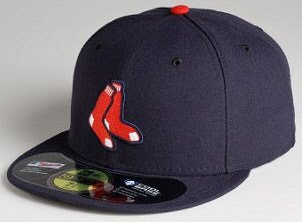 I don't mind the club selling caps with the two socks on it -- in fact, I could see myself wearing one -- but the players should wear nothing but the B.
Scott Boras claims the Red Sox have made a contract offer to Jason Varitek. The Globe reports a "source familiar with the talks" says that is not true -- and the only "offer" was for arbitration. Theo Epstein said only that the club was "in the middle" of negotiations on several fronts. However, the ProJo reports Theo has made three offers to free agents -- and Tek was supposedly one of them. Epstein: "It's kind of a fine line between offers and non-offers." If you look at the history of free-agent pitching, the best signings -- or the best values for signings -- are the ones that are the shortest, smallest investment -- buying low. Especially if you have a solid pitching foundation already and you're not desperate. ... The huge contracts, long-term megadeals for pitchers haven't really worked out. We've been, for the most part, able to stay away from that. Sean McAdam of the Herald says Mark Teixeira has received two firm offers: 8/180 from the Nationals (MLB says 8/160) and 7/150 from the Orioles. The Red Sox have not made an official offer. ESPN's Steve Phillips says the Red Sox and the Diamondbacks are discussing a Julio Lugo for Eric Byrnes swap. Ugggh. ... Boston nabbed RHP Miguel Gonzalez from the Angels in the Rule 5 draft. ... The Sox are interested in Carl Pavano. Getting him on the cheap and having him do well, especially against the Yankees, would be absolutely hilarious. 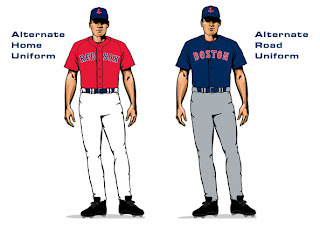 It's not known if any of these designs are in any way being adopted by the Red Sox. Changing the look and style of uniforms is not new. 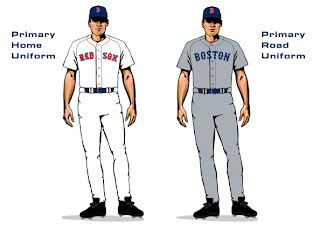 The Red Sox uniforms have changed many times since the team was formed in 1901. And while some would say the most recent alterations are purely to increase merchandise sales, you can't say that about the many changes in the 1920s and 1930s. All of the uniform pictures below are from the Hall of Fame's online exhibit Dressed to the Nines. Marc Okkonen designed all of the 1901-1994 graphics. Cap pictures are taken from MLB's Red Sox shop. From the exhibit: In 1882, the Detroit Wolverines (National League) had different-colored and patterned uniforms depending on the player's position: "scarlet-and-white-striped shirts and caps were worn by first basemen, while shortstops wore solid maroon". ... In 1916, the Brooklyn Robins (Dodgers) wore blue-checked uniforms, while the New York Giants wore purple plaid. ... For the 1927 season, the St. Louis Cardinals had "World Champions" on their shirt fronts. No team has done it since. 1901 - First year of the American League; no red in sight; the road cap was changed to all blue in 1902, then all white in 1903 -- and that's how it stayed until 1921. 1908 - The only year the team had the big sock on the front of the uniform; the laced up collar was gone after 1909 (both Boston teams were the last clubs to wear them). BA = Boston Americans. 1912 - First year in Fenway Park; two sets of home and road uniforms. 1921 - Caps will have the red bills for the next 12 years. There are pinstripes (for sure) on both home and road uniforms. Pinstripes are dropped from the home unis in 1924, but brought back in 1927. They disappear from all uniforms in 1932. 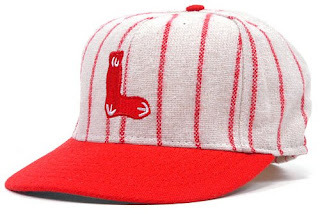 1931 - Little sock logo on a red-pinstriped cap - a one-year experiment. 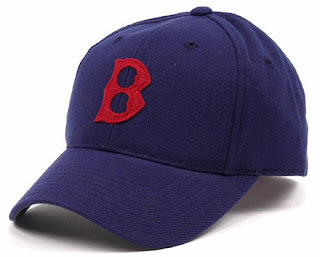 1933 - The blue cap with B (though not the Old English B of modern times) makes its first appearance. There were various changes to the stockings during the mid-30s. 1946 - Two sets of uniforms for the next three seasons. 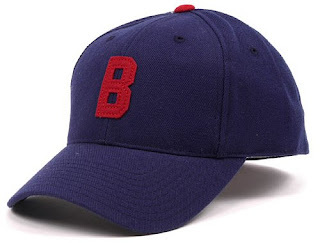 The B on the cap is also changed (outlined in white). 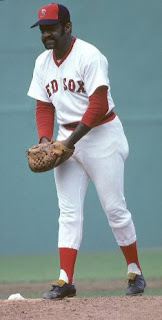 1972 - No changes to the uniform until the introduction of the red collar and red Boston lettering on the road uniforms. 1974 - Players wear red/blue caps for part of the season (post-All-Star Game at home?). 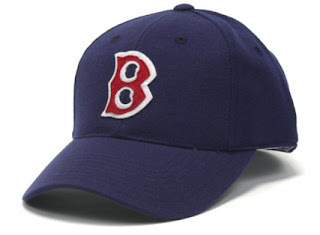 1975 - Players will wear red caps with blue B for four years, before switching back to the red B on blue cap in 1979. 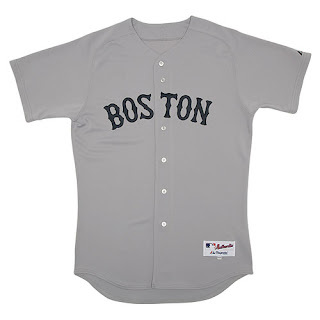 1979 - Grey road uniforms with blue Boston lettering. 1990 - It's back to the red lettering on the road jerseys. 1995 - A change to the uniform models. They must have been working out! 2004 - Uniform models stop doing 'roids. No striped socks shown after this year (Manny's pajama pants influence)? You can see the various Red Sox team logos here and here. This page -- showing how each team's hat logo has changed -- is pretty cool. (I love the Cubs' 1914 bear.) 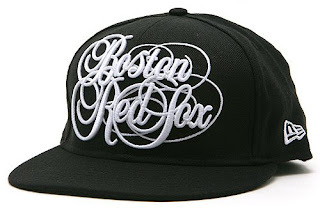 When did the Red Sox Old English B first appear? This site has nothing for Boston from 1952-1974, then it's there in 1975. I may become a Blue Jays fan. The Joy of Jays? Ken Rosenthal says the deal is 7/160. According to a person familiar with the deal, the Yankees spoke to Sabathia and his agent in recent days about structuring the deal to allow Sabathia to opt out after the first two or three years, in case it turns out he really doesn't like New York. Elsewhere, the Yankees are discussing a 4/66 deal with Derek Lowe and preparing a 4/64 offer to A.J. Burnett. ... Lowe (16.5 per year! wtf?) pitching with that infield behind him? Please, make it so! The Red Sox will unveil "changes to the ballclub's logos" and "select uniforms" on Thursday. "It's likely the team will reveal a new 'alternate uniform,' to either replace or supplement the red tops the team often wears for Sunday home games. There's no word yet on what the new logo will look like, or whether it will replace the existing one, which dates back decades." In July 2007, Curt Schilling told Dirt Dogs that there was "absolutely zero chance" that he would do any media work, "less than zero actually". About two weeks ago, Schilling joined WEEI. Royals catcher shortstop Tony Pena Jr. had an OPS+ of 5 last year (though his player page says it was 7)! BR's SoTD notes that Bill Bergen posted OPS+ of 1, 6 and -4 in three consecutive seasons. ... Also: Red Sox pitching > Yankees pitching and Mike Mussina is a Hall of Famer. Peter Schiller of Baseball Reflections asked a handful of bloggers what they thought of interleague play and a few other things. Read the discussion here (note: an ungodly amount of widgets/advertising means the page may be slow to load). Evan at Fire Brand interviewed Peter Gammons last week. ... Randy at Over the Monster chats with the Globe's Tony Massarotti. ... YFSF: Brian Cashman, CC Sabathia and the Larry David Stare Test. "We're not going to take it," Boras said. "We're going to decline. We are talking with the Red Sox and other teams about Tek." Nick Cafardo reports that a source close to Jason Varitek confirms that the Red Sox captain will decline salary arbitration. If so, Varitek will be able to negotiate with any major league team. For the most part, I've been avoiding the trade/free agent rumours of the past month or so. And Fox's Ken Rosenthal has presented Exhibit A of why that's a good idea. December 4: Rosenthal calls Varitek "a strong candidate to accept arbitration" and said "it would be an upset" if Tek rejected Boston's offer. December 6: Rosenthal reports that (a) Varitek will likely "reject arbitration and remain on the open market" and (b) that he "seems an ideal candidate to accept the Red Sox's offer". The winter meetings begin tomorrow in Las Vegas. Voting in the final round of the 2008 Canadian Blog Awards ends some time on Sunday, so go now and vote for Joy of Sox as Best Sports Blog. And please take another five seconds and vote for we move to canada as Best Progressive Blog. In other news, Josh Beckett has a new nickname! To browse and bid, go here. The auction ends on December 17. I don't think the Red Sox have a serious interest in signing CC Sabathia, especially with the Yankees' offer of 6/140 already on the table. However, the New York Times has reported that CC, if given the choice, would prefer not to pitch in New York. Also: Greg Maddux will announce his retirement on Monday. Pedroia: "I'm In A Place That I Love"
By signing a six-year deal with the Red Sox, American League MVP Dustin Pedroia knows that he gave up arbitration and his first two years of free agency -- and, therefore, potentially more money than the $40.5 million he'll receive by the end of 2014. He doesn't care. I'm in a place that I love. My first thought was, "I play for the best team. Who wouldn't want to play for the Boston Red Sox? We're going to have a chance to win every year." The fans are the best; the city embraces their team. So, why not? It fits. ... I wanted to be here a long time. Hopefully in the next six years we can win some championships. He embodies just about everything we look for in a Red Sox player, and that makes this a great day for the organization. Dustin plays hard, first and foremost, all the time. He plays to win. He plays for his teammates, not himself. What's not to like? If we had 25 guys like him, we'd be in good shape. I don't think we'd be the Red Sox right now without Dustin Pedroia. Terry Francona is also happy with FY's deal: "I feel like I got a bump in salary because of his cribbage skills." ... Pedroia also had some words for members of the media who doubted his ability to stick in the bigs: "I think you guys are all stupid for not believing in me." The Red Sox formally announced the signing of Junichi Tazawa, a 22-year-old right-hander from Japan, to a three-year contract (believed to be worth $3.3 million). He will likely spent most of 2009 in the minor leagues. If you have not done so already, vote for Joy of Sox in the 2008 Canadian Blog Awards. Thanks! The 25-year-old second baseman will receive a signing bonus of $1.5 million and a salary of $1.5 million in 2009, followed by salaries of $3.5 million, $5.5 million and $8 million in what would have been his three years of arbitration eligibility. Pedroia would earn $10 million salaries in 2013 and 2014. The deal, negotiated by agents Sam and Seth Levinson, also includes a team option to pay him $11 million in 2015 or buy him out for $500,000. If Pedroia is traded, the option would be voided. Even though Pedroia is not eligible for free agency until after the 2012 season -- four years from now -- I love this deal. FY gets some financial security and if he continues to produce as he has over the last two years, Boston will be getting an obscene bargain for nearly a decade. The Red Sox have offered salary arbitration to Jason Varitek. Varitek is unlikely to accept the offer. He has until December 7 to make a decision. I can't see the Red Sox offering him more than a year or two. If he signs with another team, Boston would receive two draft picks as compensation. Yet I cannot imagine the demand for 37-year-old catchers coming off a .220/.313/.359 season (with OPS+s of 83, 103 and 73 over the past three years) is very high. Paul Byrd was also offered arbitration. The Red Sox have signed LHP Billy Traber to a minor league contract with an invitation to spring training. Traber spent time with the Yankees and Scranton/Wilkes-Barre (AAA) last year. In 19 MFY appearances, Traber had a 7.02 ERA (16.2 IP, 23 H, 7 BB, 11 K). Those Pawtucket innings aren't going to pitch themselves.